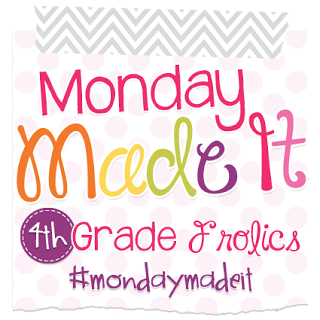 I'm excited to link up with one of my faves Tara from 4th Grade Frolics this week for Monday Made It and share a few projects I've been working on. I go back today to set up my classroom, and the kiddos come next Thursday- EEEK! I feel like I'm running out of time! Maybe that's because I am! 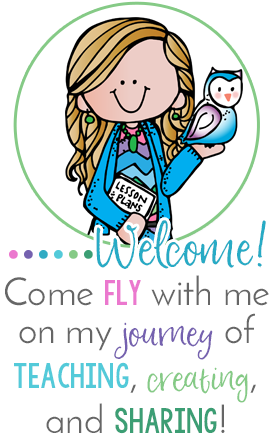 I am excited to go back and start a new year. I learned so much last year, and I'm excited to put some new things in place for this year. I REALLY wanted to find the Kraft Macaroni and Cheese letter pasta I'd been seeing all over Instagram. The Targets around me didn't have them for the longest time! 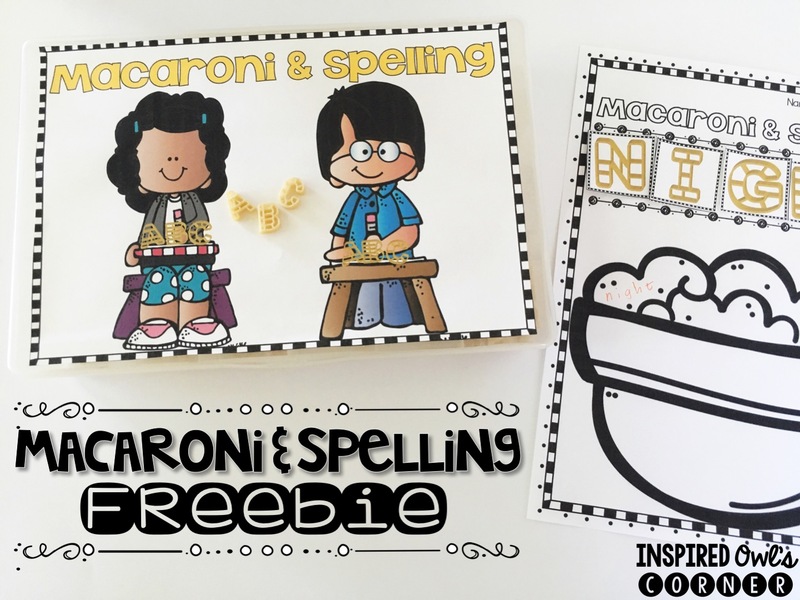 I finally scored three boxes last week, so I thought I would make a fun Macaroni and Spelling activity for my students. Last year my students LOVED activities like this one during my Daily 3 rotations. I know my new class will adore this one too. I've added this to my Spelling and Word Work Activity pack. I used an old thread organizer that I wasn't using anymore. You can find them at Joann's or other craft stores. There weren't enough spaces for every letter, but I was able to put vowels in the larger space and letters T-Z in the last one. The letters shown above are from one box of Macaroni and Cheese. You could make about two containers of letters from one box of Mac and Cheese. There weren't as many R and S letters in this pack. I made a label to go on the front of my container and a recording sheet for the students to spell out each word and write each one inside the bowl. You could extend this activity and have them trace over each word with a different writing tool. I'm going to have my students decorate the bowl too. They could write a paragraph or sentences about their favorite lunches using their spelling words on the back, or make up silly rules for the lunchroom. The possibilities are endless! If you can't find the pasta letters, or would like to use the paper pasta letters shown on the recording sheet above, I have made a freebie pack for you. It also includes the label to go on the front of you container. You can grab it HERE. 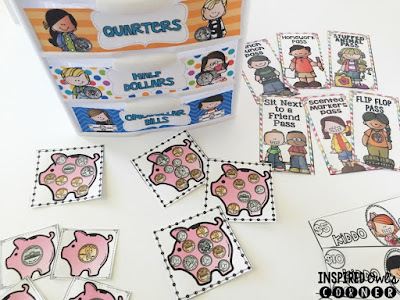 My second project is revamping my Kiddo Cash and Class Passes pack. 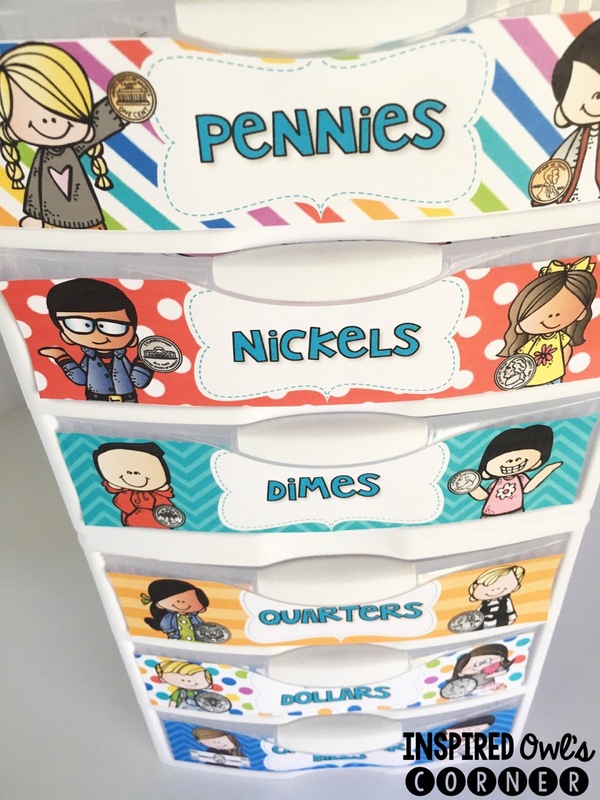 Last year I had the idea to make coin cards in addition to the classroom cash. My second graders really struggled with counting coins. I knew how motivating the cash was to them, so earning and counting coin cards would really help them with the math unit on counting coins. I made each coin on a single card and a variety of coins to count on one card as they master the individual coins. In CA, second grade is the only grade that has this as a Common Core Standard, so I have to make sure they master it this year. Hopefully this will help! 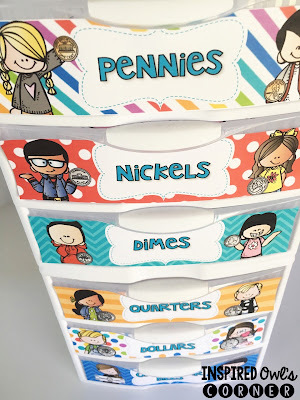 I have more info about my classroom money and passes HERE. 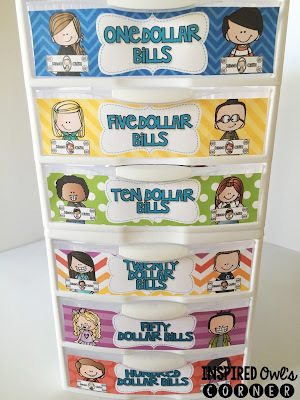 Since I now have coins in addition to dollars, and I'm also changing my decor colors to primary brights, I had to make new labels to organize my class money. I made a few different options depending on whether I'm using individual coins, multiple coins, or dollars. These labels fit inside or outside of the small Starlight drawers. 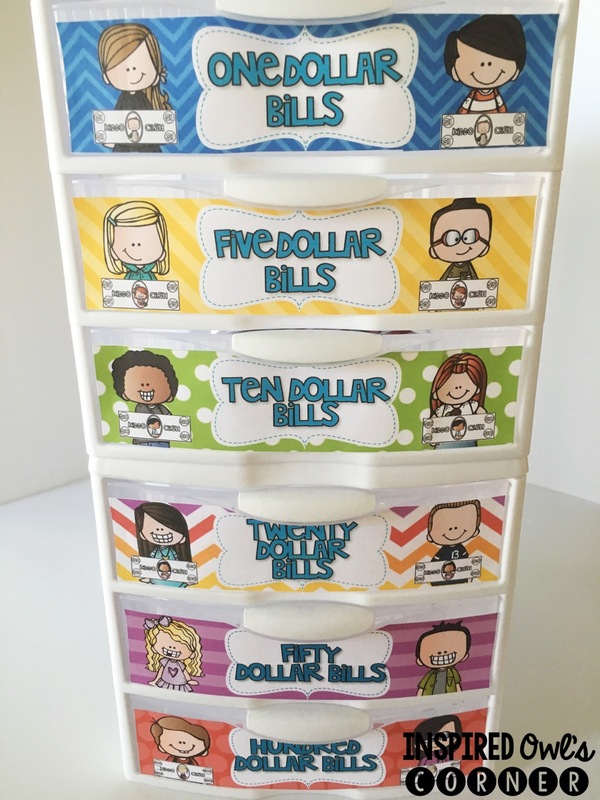 You can download them HERE if you are using classroom money and would like to make your own money storage drawers. I can't wait to see what everyone else came up with for MMI! 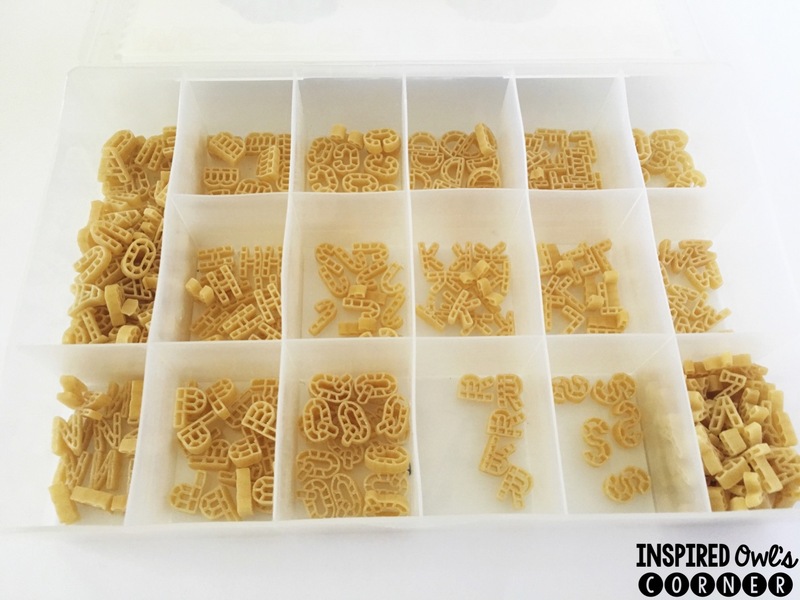 Love the spelling macaroni idea! 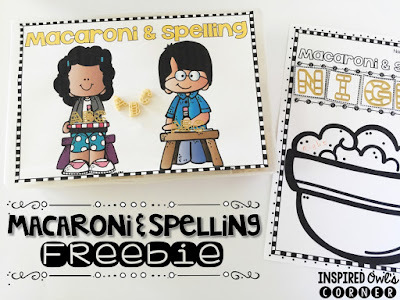 Love the macaroni spelling, I need to implement that with my niece and nephew this summer! I always love the drawer organizers you all have. So many teachers dress them up to look so adorable. I need to get on the bandwagon! Super cute! I love the macaroni and the drawers!